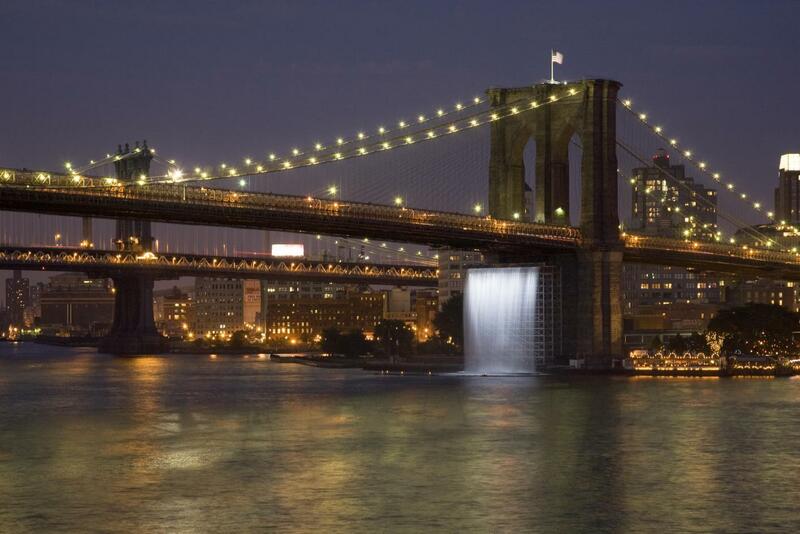 Admire the innovative and memorable art woven into the natural landscape of the park. From sculptures to freestanding installations, new work is introduced every year, so there’s always a reason to come back. Bridge Over Tree, by Iranian artist Siah Armajani is a 91-foot-long walkway with a set of stairs that rise and fall over a single evergreen tree. 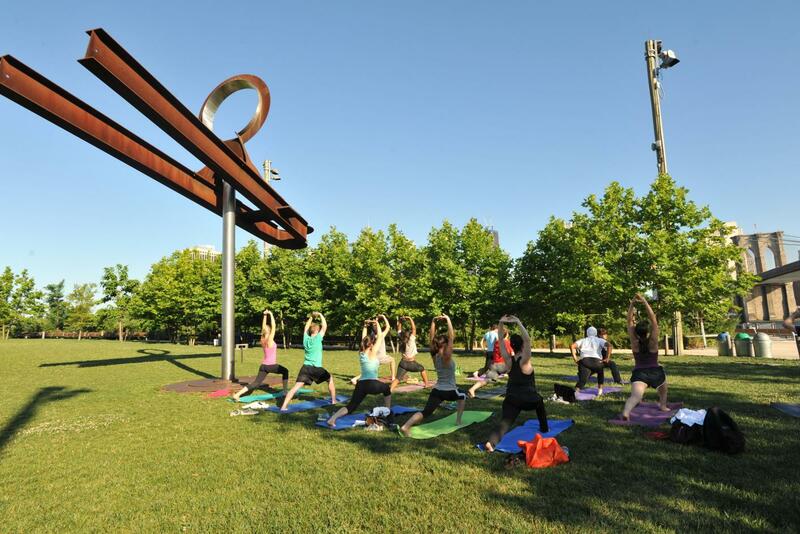 Originally shown in a Minneapolis public park in 1970 as part of a temporary sculpture exhibition, Bridge Over Tree invites us to experience the idea of a bridge in a new way. In a world of walls and barriers, what does it mean to create points of connection, to establish relationships among different things, to invite interaction, and to build a bridge between the world and the poetic imagination? 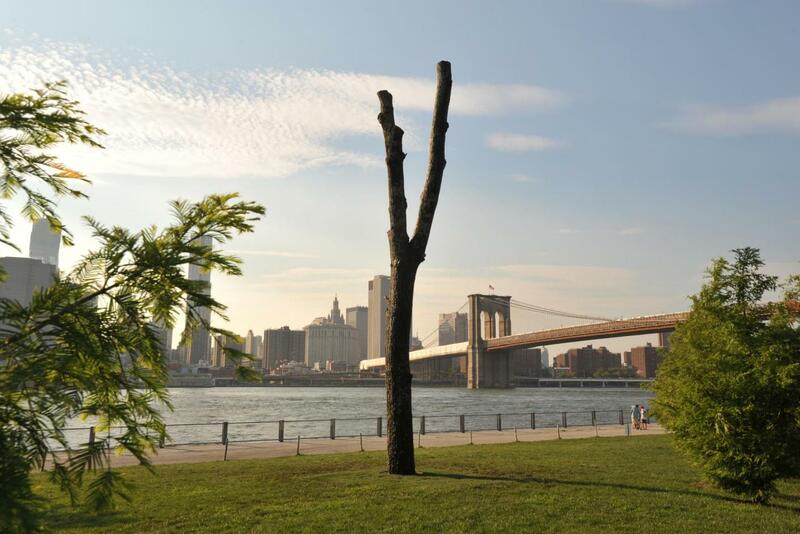 Bridge Over Tree is now on display at Empire Fulton Ferry Lawn until September 29. Watertower 3: R.V. 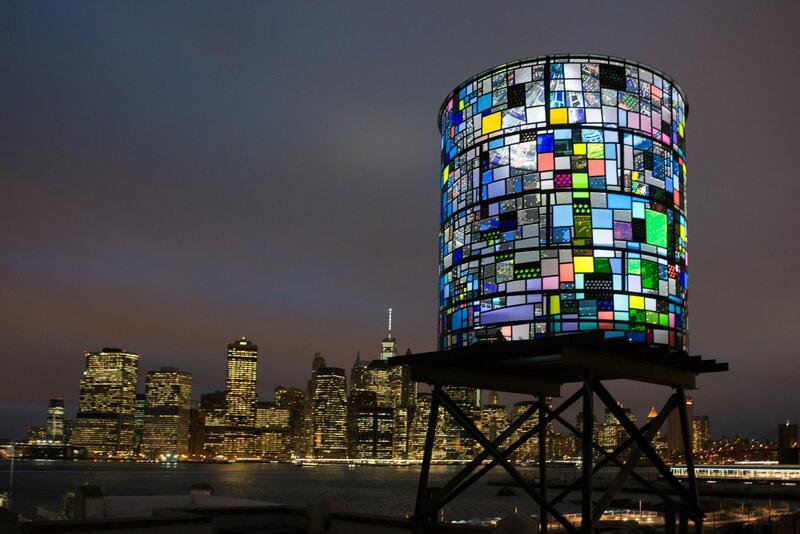 Ingersoll, by Brooklyn artist Tom Fruin, sits atop 334 Furman and lights up the sky around Pier 5. 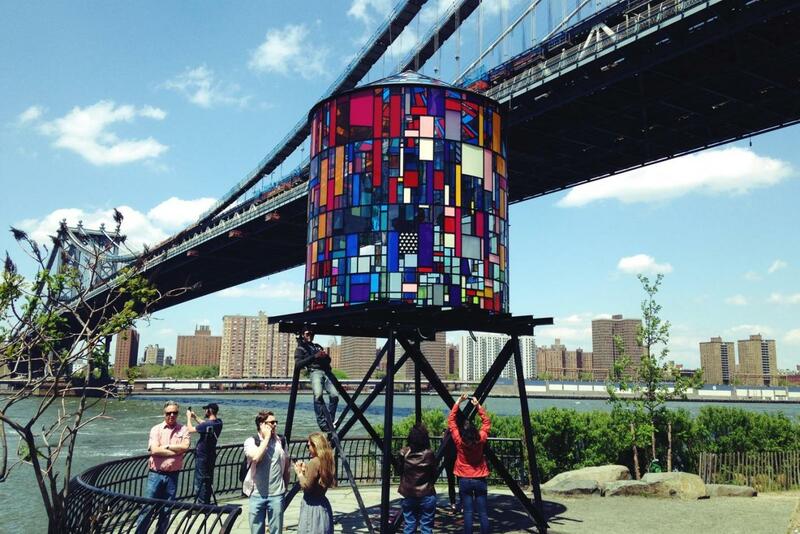 Part of his ICON series, Fruin composed Watertower 3 from roughly one thousand salvaged scraps of acrylic, echoing the ethos of BBP’s dedication to sustainability. 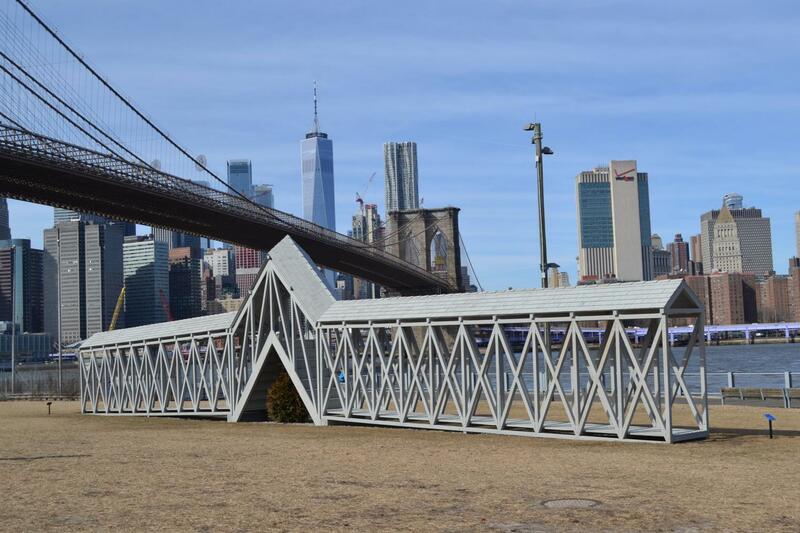 His vibrant acrylic panels, referencing earlier pieces such as Kolonihavehus, 2010 on display at Empire Fulton Ferry, become vibrantly illuminated by the sun during the day and solar-powered lights at night. 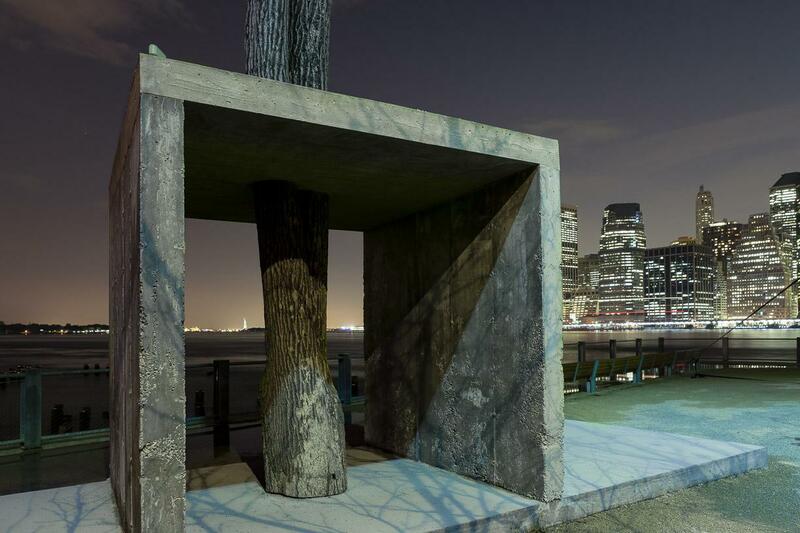 This beacon of light is a tribute to the iconic New York watertower and is visible from numerous vantage points in and around BBP, the Brooklyn Heights Promenade and New York Harbor. 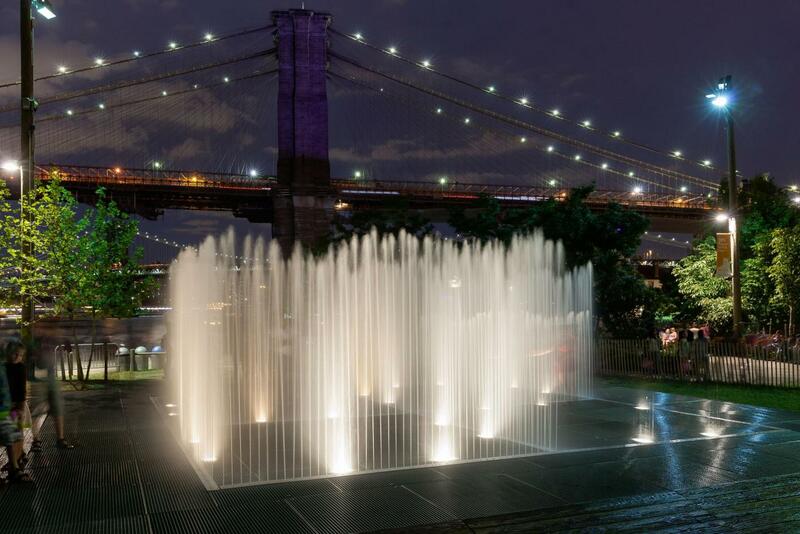 In addition to public art in BBP, DUMBO offers a wealth of art for everyone to enjoy. From murals to installations to gallery shows, there’s something for everyone right here in the neighborhood. 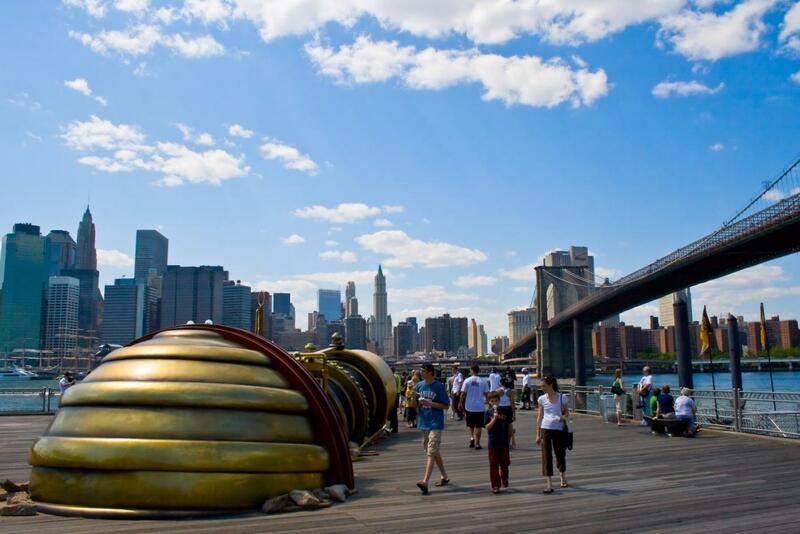 To see complete listings of public art, galleries, and events, visit ArtInDUMBO.com. 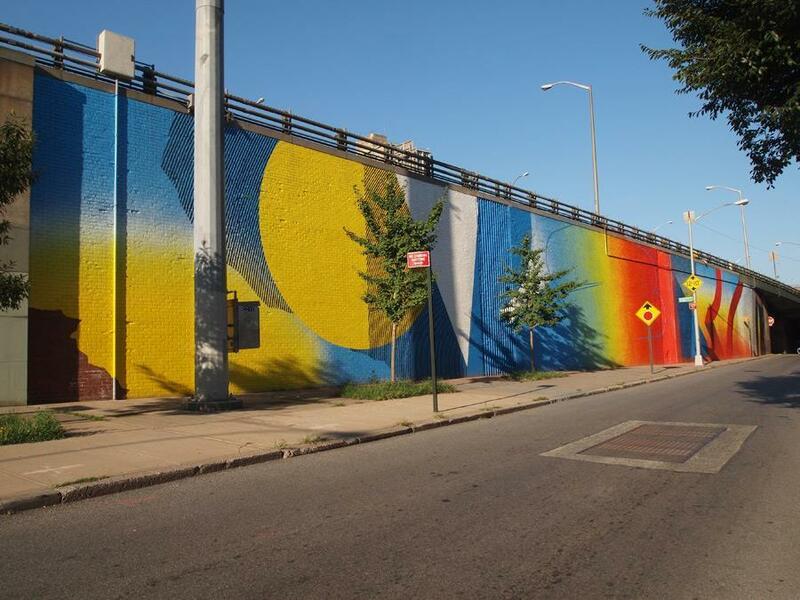 Created in cooperation with the NYCDOT’s Arterventions program, the Atlantic Avenue BID, Investors Bank, and Avery Hall Investments, this mural at the Atlantic Avenue Gateway at Pier 6 enhances the Gateway’s attraction as a major pedestrian thoroughfare connecting Atlantic Avenue and Brooklyn Bridge Park. 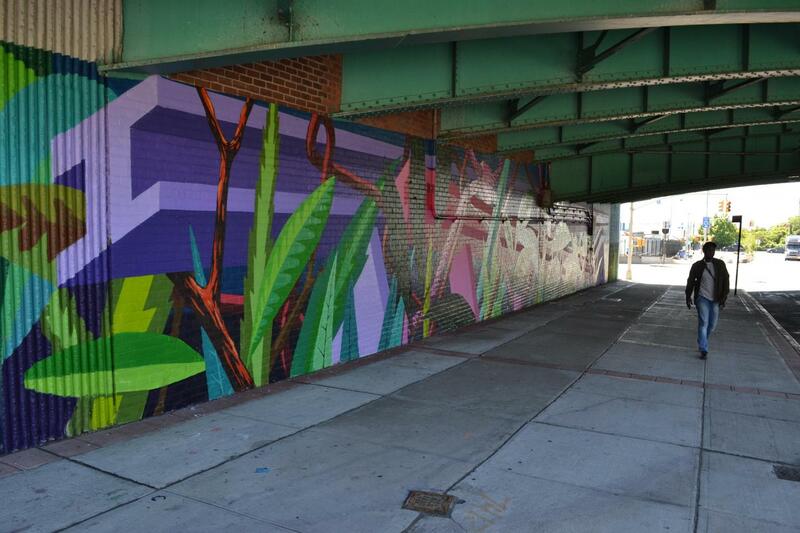 Brooklyn-based artist Nelson Rivas (aka Cekis) designed the mural, titled Into the Wild, Brooklyn, with elements that reference the East River, waterfront shipping sheds, and local plant life. 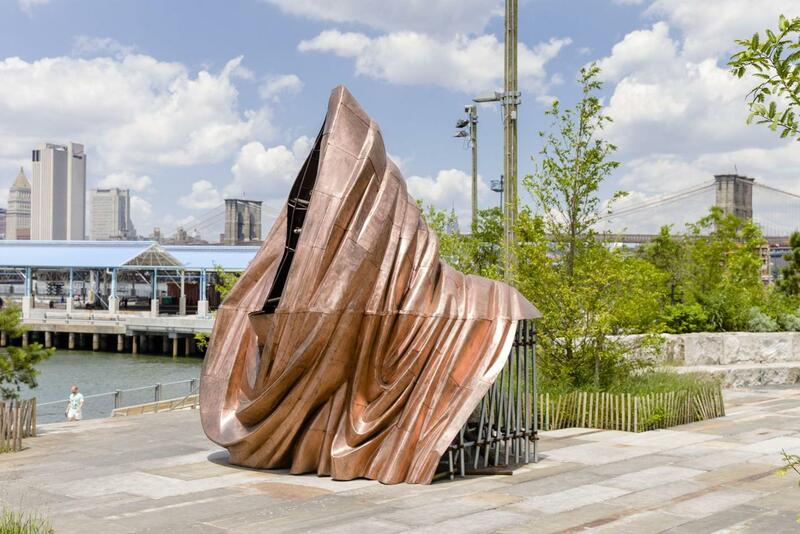 Cekis has exhibited worldwide and collaborated with the Bronx Museum, NYU Bronfman Center Gallery, Itinerrace Gallery France and more.